Our Pennsylvania genealogists are available to research on location. They will find and analyze the best records available to further your family history research. They can search the archives and libraries in Pennsylvania, as well as help you with other special requests. The Pennsylvania State Law Library is a research facility at Penn State Law. The library is the official repository for printed publications of Pennsylvania from the 1700s to the present. The State Library of Pennsylvania includes both historical and genealogical records. Among the library’s collections are genealogies and indexes to vital records. The library also holds state and county histories, as well as atlases and land warrants. Researchers can also access church records and cemetery records here. Additionally, the library is home to ship lists and regimental histories. The Erie County Public Library is known for having one of the best biographical sections for migrants who used the Erie Canal before moving west. Another large focus of this library’s archives is history and genealogy records of northwestern Pennsylvania and the surrounding tri-state area. The Blasco Library Heritage Room at this library includes microfilms of the Erie newspapers dating back to 1832 and Erie County censuses from 1800 to 1930. 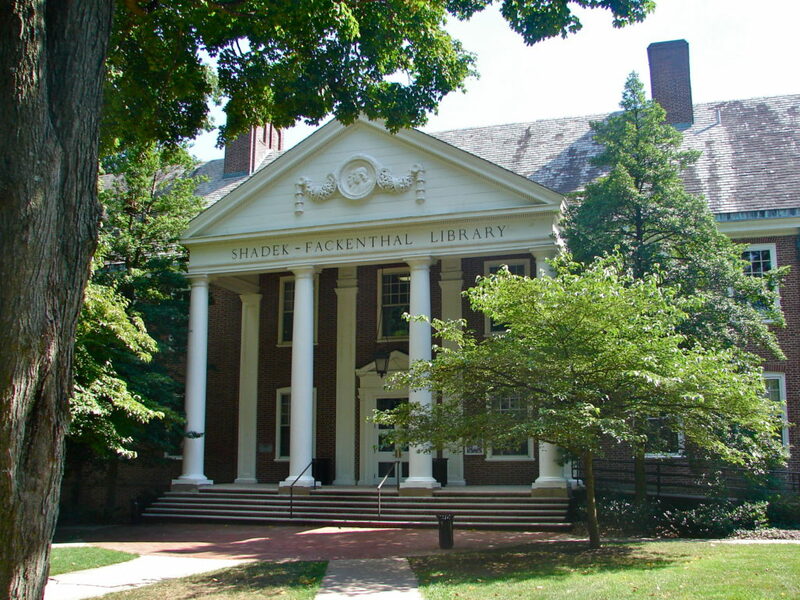 The Franklin and Marshall College Library holds information on the history and government of Pennsylvania, and has special resources on the German colonists of the region. The library holds records on Hessian soldiers (German mercenaries who served Britain in the Revolutionary War). The Special Collections department include personal manuscripts of prominent Pennsylvanian individuals, historic maps, prints, posters, and photographs. Our Pennsylvania genealogists can also find German-Imprint Collection consists of newspapers, books, almanacs, and posters printed in German in North America at this library. Papers of prominent Quaker families, including the Cadbury family, the Cope family and the Evans family. Quaker tracts that date back to the religion’s earliest days – the English Civil War. The library also holds a collection of information on Haverford history including Haverford College catalogs, alumni magazines, yearbooks, and student newspapers. The Pennsylvania State Archives contain 250,000 documents including the original charter that allowed William Penn to create the state of Pennsylvania. This huge collection contains the original sources for the published “Pennsylvania Archives” series. The series extracted records such as vital births, marriages, and deaths, and military records. Our Pennsylvania genealogists can also find ship passenger lists dated back from the 1700s to the early 1800s that might help you find some ancestor information. The Carnegie Library of Pittsburgh was founded by Andrew Carnegie more than a century ago. The birth and death records at the library comprise the years 1870 to 1905. Their holdings include newspapers from every state and seven foreign countries. This includes over 2,434 newspaper titles, from 1759 to the present. The library contains passenger lists from NARA of over 6 million immigrants. The Carnegie Library also holds Sanborn Digital Fire Insurance Maps (1867-1970). The US Army Military History Institute in Carlisle Barracks is one of the largest military libraries in the world. It has over 300,000 volumes covering every facet of US army and military history. The Adams County Historical Society is a repository of local Adams County records and history. The society’s census records date back to 1762.The collection of tombstone inscriptions numbers at over 40,000. Their collections include thousands of items donated by individuals, families and businesses. They also have local business records and school records. Records related to the Battle of Gettsyburg include 3,000 prints and negatives. 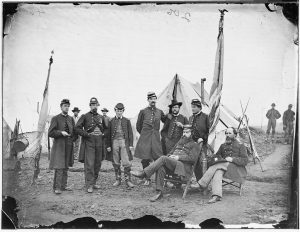 Other military collections include the Revolutionary War Red and Black Series, Civil War damage claims, Civil War eyewitness accounts, and World War II discharge papers. The society also has church records including baptism and marriage records for both Lutheran and non-Lutheran churches in the Adams County area. A county clergyman list, as well as county and business directories, are also held in their archives. Deeds from Adams County date back to the 1800s, and tax records comprise the years 1800 to 1960. The court records at the archive include estate papers (1800-1999), marriage license applications (1885-1970) and birth registers (1893-1905). They also have constable’s returns (1808-1901) and tavern license records. The collections at the David Library of the American Revolution include 10,000 reels of microfilm, 6,500 books, and 2,000 pamphlets. These consist of diaries, muster rolls, and letters from repositories around the world. The Sol Feinstone Collection holds approximately 2,500 original Revolutionary-era manuscripts. Our Philadelphia genealogists are available to visit the local archives and libraries in the city to further your research. Some of the repositories they are able to visit in Philadelphia are listed below. The Lutheran Archives Center at Philadelphia is the Northeast Regional Archive for the Evangelical Lutheran Church in America. The center collects records from Lutheran congregations throughout many states, including Pennsylvania, New Jersey, and New York. However, they do not contain records from New York City. The Lutheran Archive Center holds a large collection of personal papers of Lutheran clergy, theologians and church workers including individuals that lived in the 18th century. The archives also contain records of church bodies that date back to the 1700s. The German Society of Pennsylvania is home to 60,000 different volumes, many of which are written in German. This is the largest private collection of German books in the United States outside of universities. The German American Archive began in 1867 and has an abundance of documents that detail German life in America. This includes records of the earliest German colony in 1683 in Germantown, Pennsylvania. The collection numbers at 10,000 books and pamphlets, and 200 linear feet of manuscript collections. 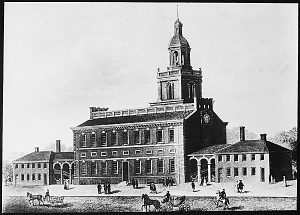 The Historical Society of Pennsylvania is known for having an extensive amount of records on the early history of Pennsylvania. Some of this information includes data about early settlers such as the Quakers, the Germans, and the Scots-Irish. Visitors can find articles from each of William Penn’s colonies: Pennsylvania, New Jersey, and Delaware. These archives are also significant because they contain materials that date back to the 17th century. They include letters, diaries, account books, deeds, and scrapbooks. Menus, sheet music and postcards are also held in the archives. All in all the society’s holdings number at 600,000 books, 20 million manuscripts, over 300,000 graphics items, and 300 years worth of newspapers. The National Archives at Philadelphia maintain a collection of significant records from nearly 80 different federal agencies and courts that date back to the 1700s. These records contain information from the state of Pennsylvania, as well as from the states of Delaware, Virginia, Maryland, and West Virginia. Passenger arrivals from 1800 to 1945 in Philadelphia and Baltimore and naturalization records from 1790 to 1990 can also be found here. The list above is a small sample of the topics covered by the National Archives at Philadelphia. The American Swedish Historical Museum is located in southern Philadelphia and is the oldest Swedish museum in the city. The museum is dedicated to preserving and promoting Swedish and Swedish-American culture and traditions. The museum’s archives include information about the New Sweden Colony that was established on the Delaware River in 1638. The museum also contains articles that focus specifically on Swedish heritage in the Delaware River Valley area, including northern Delaware, southern New Jersey, and southeastern Pennsylvania. The City Archives of Pennsylvania is home to 19th and 20th century vital records. These vital records include birth records (1860-1915), marriage records (1860-1885), and death records (1803-1915). The archives also contain city directories from 1785 to 1930 and for the year 1935. Their collection of deeds span from 1638 to 1952. They also house naturalization records, from 1793 to 1930. The Philadelphia Federal Records Center houses military records, including official military personnel folders. Tax returns and passport applications are also held here. Our Pennsylvania genealogists specialize in researching several types of documentation and are not limited to the list above. For more information or specific inquiries about our genealogists, please feel free to contact us.